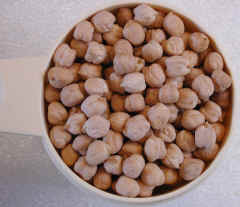 (Chick Peas or Garbanzos) Dried chick peas (garbanzos) are cooked and eaten on salads, or in soups or other dishes. The dried beans (peas) are also ground into a flour for making falafel or other recipes. 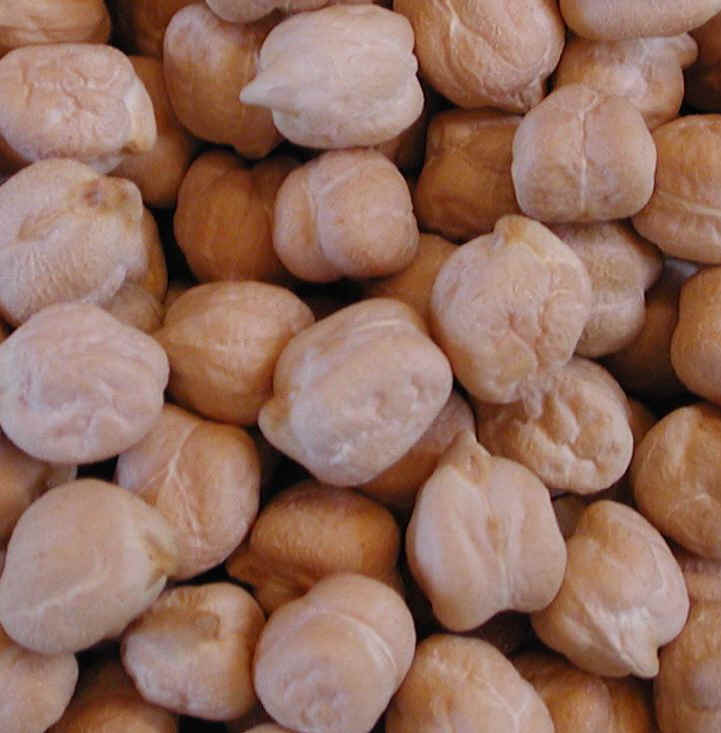 Chick peas are higher in fat and protein than other commonly eaten beans. 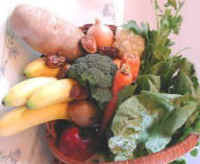 See the nutritional chart for raw and cooked chick peas. The photo to the left shows the actual size of the chick peas.